Over 1.6 million people in the UK are estimated to be affected by an eating disorder. The two most commonly known eating disorders are Bulimia Nervosa and Anorexia Nervosa, this blog will explore the former, Bulimia from a former sufferer. “One of the hardest parts of this illness was the secrecy, I both wanted it to be a secret but didn’t want it to be at the same time, creating me so much internal conflict. It was like my enemy and my friend all at the same time, each part served me differently and kept me locked into my secret hell for over twelve years. It began when I was about twenty, I’d had a lot of trauma when I was younger and my coping mechanism was food. Food was a comfort when I felt sad, scared, angry, guilty, alone but most of all it was the anger. I’d gained a lot of weight in my teens this way and after another crisis in my life, I took stock of where I was at. I made three big decisions and one of them was to lose weight. I craved a ‘normal’ life of dating, of a social life, nice clothes, all the things I didn’t have. I embarked on my first ever proper diet encouraged by a mental health nurse. The weight began to fall off of me, it was incredible. I then began to exercise avidly. Before I knew it, I was caught up into the world of calories, what not to eat, what I could eat, what I weighed, feeling guilty about eating. As the weight loss continued I was terrified of gaining a single ounce. A few months later my initial will power began to crumble and cracks began to show. 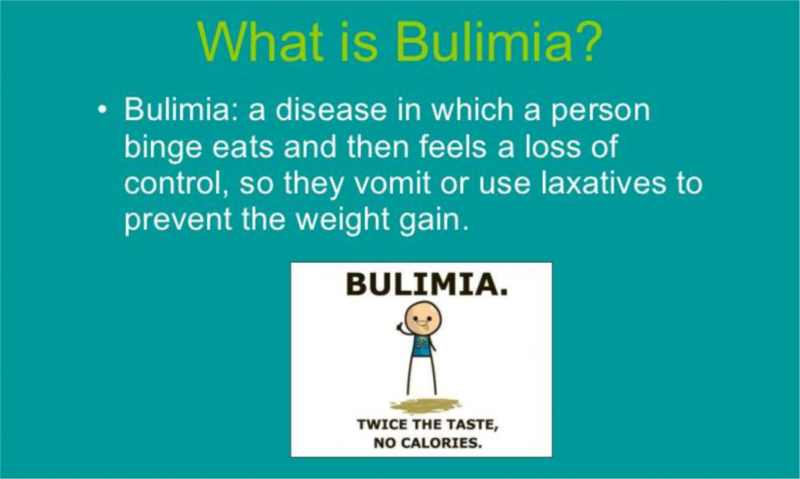 I’d heard about bulimia from my psychiatrist and the thought came into my head. Before I knew it, I was raiding the kitchen cupboards frantically for food to stuff down my throat as I was so hungry. It felt out of control as I began to concoct waffles and as fast as I made them, I was stuffing them into my mouth, piles at once. When I was fit to burst, I panicked wildly…what had I done? Then I knew I had to get rid of the damage I had done and rushed to the bathroom and for the first time in my life proceeded to make myself vomit. It was both a liberating and a horrible experience, again the conflict all muddled together. After a few more episodes of this, it soon became an addiction that I felt I had no control over. It controlled me but I would not admit that to myself. I felt I had found a solution finally to keep my weight in check. That’s all that mattered to me at that point, the number on the scales. It continued for a very long time and at my worst I was enduring the huge binge and purge cycle at least three times every day, weighing myself twelve times a day, exercising, occasionally taking diuretics, feeling suicidal and I ended up hating it and what it did to me. It ruled my life and everything was dictated by this wretched addiction. It affected my physical health, gave me lifelong digestive problems, bloating and cramps, I felt battered and bruised internally, my throat and oesophagus were inflamed and my teeth hurt and were frequently filled. Mentally I was a total mess, very depressed, very angry, very anxious and my self-esteem in tatters. I formed other obsessions and my life was incredibly unhappy. This was my life for around twelve years, it was a prison. It was only when I was pregnant and my son was born that I felt I could and wanted to change and I eventually did. It was a lot of hard work to let go of what had been my coping strategy for years but as I uncovered and faced my truths with a wonderful counsellor of what had been hurting me all along and found new skills through working with my counsellor I slowly recovered. It was truthfully a long slow recovery. I let go of the eating habits quite quickly once I had support, but it was the work I had to do on myself that took me a long time. Was it worth it? Absolutely and whenever I’ve had little blips over the years when my life has been especially stressful, I have had to step back, look at what’s going on and find a different way to cope. I’m now 47 and can honestly say, I know I’ll never slip back to that place ever again as have worked so much and so hard on myself – and to anyone reading this, you too can do the same. If you would like support dealing with Bulimia, or any eating disorders, please contact Jane. Shame – are you feeling it? We are passionate about providing a professional Counselling, School Counselling, Psychotherapy and Clinical Supervision Services to the Loughborough and Leicestershire area.